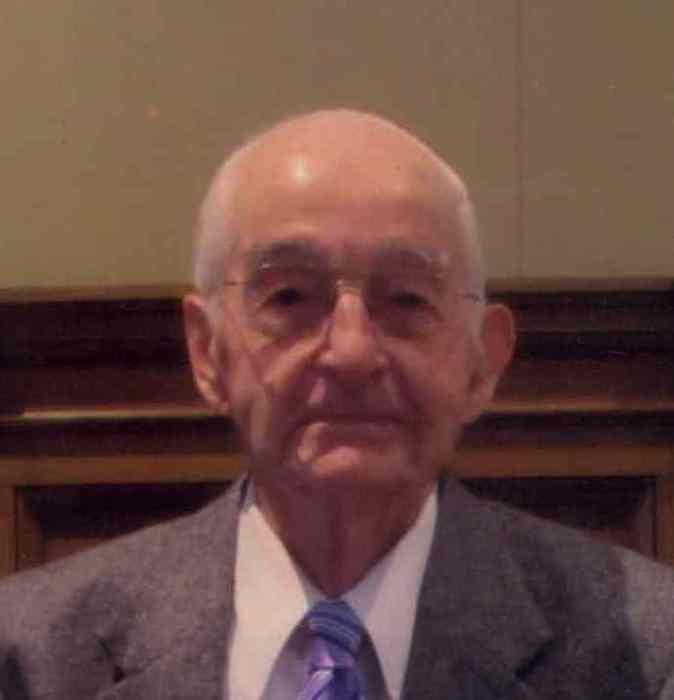 Alfred L. Hewitt, 96, departed this life on Thursday, January 31, 2019 at his residence, while in the presence of his loving family. Born on December 20, 1922 in Lewiston, NY, he was the son of the late Alan and Lena (Laur) Hewitt. On January 1, 1943, he married the former Lola McGee in Niagara Falls, NY. She predeceased him on January 29, 2009. Al, as he was known to family and friends, was a lifelong area resident and graduated from LaSalle High School. He proudly served in the United States Army, during World War II, from January 14, 1943 until his honorable discharge on December 28, 1945. For 34 years, Al was employed as an Area Foreman for Goodyear Tire and Rubber Company, until he retired in 1982. He, a child of God, was a congregant of Payne Avenue Christian Church and a member of Niagara Frontier Country Club. Al enjoyed golfing, bowling, fishing, hunting, gardening and square dancing. Al is survived by daughters, Barbara (Peter) Baker, Linda (Greg) Mikolajek, Marjorie (Larry) Minor and Bonnie (Jim) Sands; 8 grandchildren; 13 great-grandchildren and 3 great-great-grandchildren and several nieces, nephews and cousins. In addition to his parents and wife, he was predeceased by brothers, Gerald (late Rose) Hewitt, Richard (late Lynn) Hewitt, Kenneth (late Ruth) Hewitt, Donald (late Betty) Hewitt and Harold Hewitt. Visitation will be on Sunday from 2-6 p.m. in the Chapel of OTTO REDANZ FUNERAL HOME, 2215 MILITARY ROAD, NIAGARA FALLS, NY, where a funeral service will be held on Monday, February 4th at 10:00 a.m. with Pastor Bob Fleming officiating. Interment will follow in Acacia Park Cemetery, concluding with Military Honors. In lieu of flowers, memorial offerings may be made to the Alzheimers Association. Arrangements are under the direction of Michael R. Goodlander. Please visit www.goodlandercares.com for online condolences and to view Al’s tribute video, when available.